Since version 6.2, MapServer has the ability to draw label lines to features where space is an issue for the label (often when the label text is larger than the polygon being labelled). This feature was added through MS RFC 81: Offset Labels with Leader Lines. Specifies the number of pixels between positions that are tested for a label line. You might start with a value of 5, and increase depending on performance (see example below). Specifies the maximum distance in pixels from the normal label location that a leader line can be drawn. You might start with a value of 30, and increase depending on the resulting placement (see example below). Signals the start of a STYLE object. Use this to style the leader line. 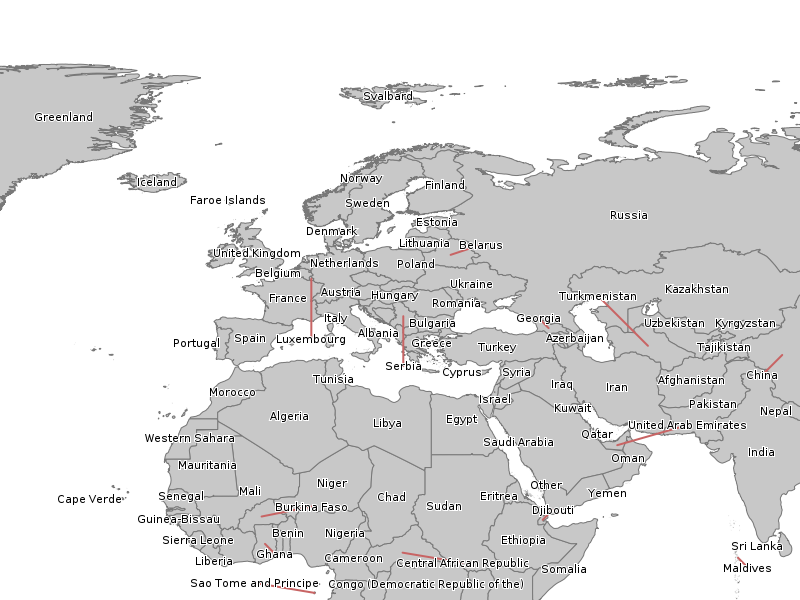 The following example uses a polygon layer to display country labels. 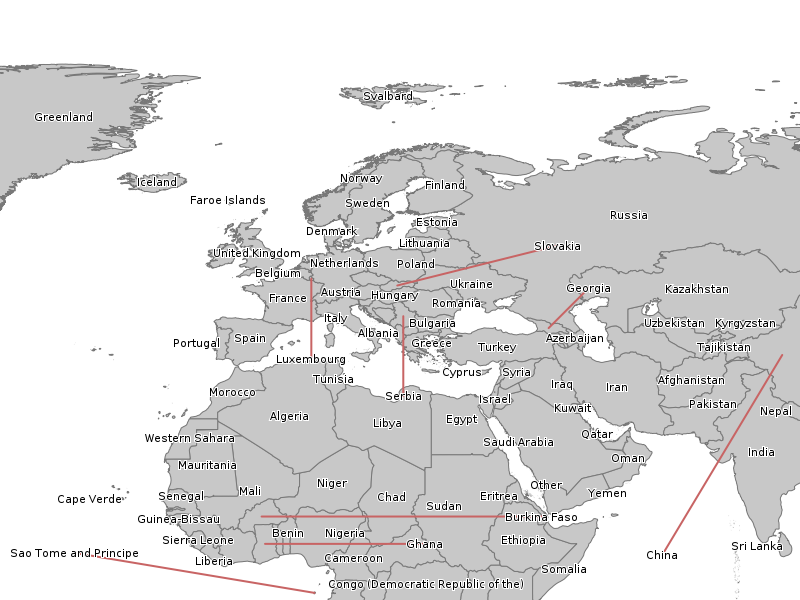 The data and mapfile for this example are available for download at: http://download.osgeo.org/mapserver/tickets/label-leader.zip (11MB). This time use a shorter maximum leader line (MAXDISTANCE) and increase the number of tests (GRIDSTEP).